Nature Provides Its Own Flood Control. Time to Use It? After millions of dollars of flood damage and mass evacuations this year, California is grappling with how to update its aging flood infrastructure. That has some calling for a new approach to flood control – one that mimics nature instead of trying to contain it. It’s being tried in a handful of places in California, including here just below Oroville Dam, where massive flows on the Feather River put levees to the test this winter. He’s looking at a levee on the Feather River, about half an hour north of Sacramento. It has a huge gouge where it meets the riverbank. The Feather River levees were hit with a huge amount of water: almost 60 million gallons per minute during the worst storms last month. So this levee will need repairs, which is pretty common for aging infrastructure. But just a bit downriver near Marysville, there’s a project that reflects some newer thinking. The riverbank is covered in cottonwoods, willows and sycamores. They’re caked in mud, almost over our heads, showing just how high the floodwaters rose. It makes Carlon grin. This area used to look like what we saw upstream, where the levees are right next to river. But here, the levee was moved back by a quarter mile or so, making space between the river and the levee. When the river is running high, this area acts as a floodplain. “The water just spreads out, flows across the whole 700 acres, slows down and has the ability to soak in,” Carlon says. Giving the floodwater somewhere to go takes pressure off the levees. It also creates habitat for young fish, like endangered salmon and steelhead. 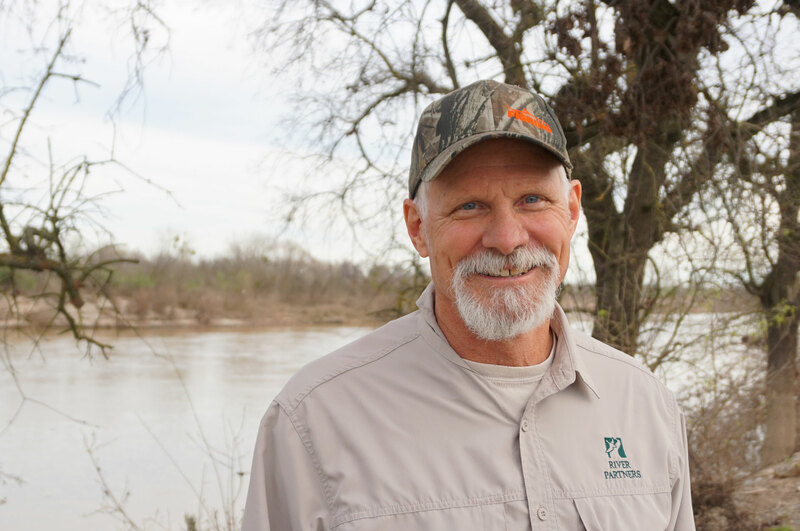 “Folks around here call them floodplain fatties, because they grow super-fast in a really short amount of time,” he says. Carlon says flooding is part of the natural cycle for rivers in California. “We’re trying to work with nature rather than continually fight against nature,” he says. The way we battle to control nature now, with levees and concrete. is not very adaptable, Carlon says. 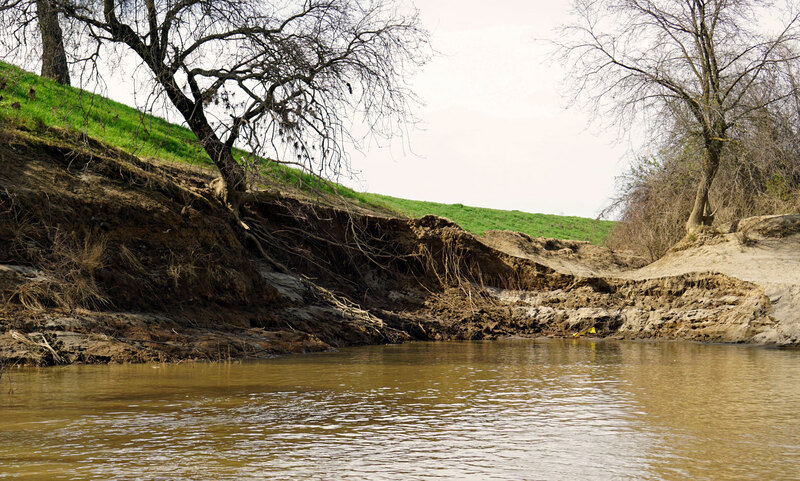 “Everybody thinks living next to the river is a great idea, until it floods,” says Carson Jeffres, a researcher at the UC Davis Center for Watershed Sciences. Jeffres says flood plain restoration makes a lot of sense when you take climate change into account. “There’s always a bigger storm out there and the events are predicted to become more extreme,” he says. But moving levees isn’t easy to do. For one, there are cities and towns built right next to rivers. Another restoration project is underway along the Napa River, where flooding is an ongoing problem. But funding these projects can be challenging. California is now deciding how to spend billions of dollars on improving flood protection infrastructure. The Central Valley Flood Control Board is expected to finalize a new flood control plan later this year.